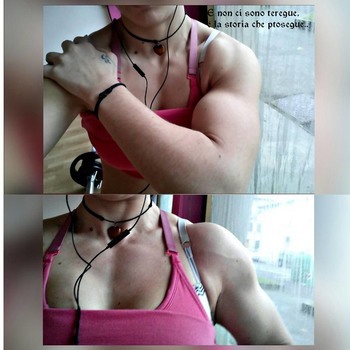 Forum Saradas | Female BodyBuilding & Fitness & Figure - Members Area | Polls on female bodybuilder and fitness athletes | Agnese Sassone want know tattoos or not tattoos? 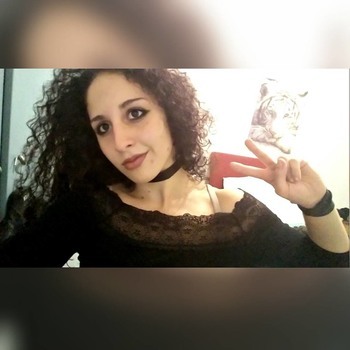 Agnese Sassone want know about tattoos or not tattoos? Re: Agnese Sassone want know tattoos or not tattoos? Just my opinion and I know others disagree, but I think big tattoos on an fbb are like graffiti on a Greek temple. They detract from the grandeur. Tattoos by some are considered art by some, tribal by some, like piercings. Bodybuilding, is an art form within itself like the sculptings of the Renaissance hard and chiseled. I, personally don't think a body who works themselves out to be the most ripped and vascular they could be should dirty their body with graffitti. Now I'm not your friend, but if she gets tattoos now, she may be posing down the road a piece and ask herself, why did I ever get this stupid thing. I personally don't care for tattoos, but you are mistaken if you think that tattoos makes someone a social pariah. I used to think, 20 years ago, that whenever I see a person with tattoos, I'd wonder if they could ever find a "real" job. Now you see professional people wearing them. Western civilization is a celebrity driven culture. If musicians, rappers, ball players and movie stars wear tattoos, then it's socially acceptable. 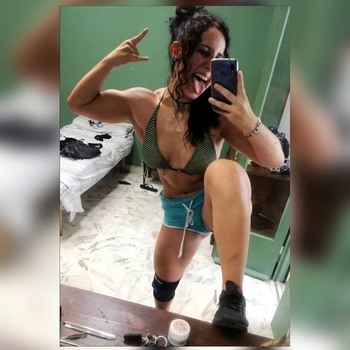 What's even sadder is that a woman built like Aleesha Young and Nataliya Amazonika is going to get looked at with more contempt by the general public than some broad covered with tattoos. 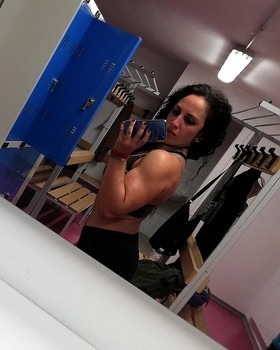 Most people look a female bodybuilder as more of a freak show than someone covered with tattoos. Most people don't consider bodybuilding a sport or art form. Even sadder is the fact that most people consider it some abnormal fetish. A woman looking like Ray Bradbury's The Illustrated Man is more socially acceptable in our society, than a woman with big muscles. I think a tattoo could look very nice on her, provided she chooses the right design, size, and placement. Most people don't consider bodybuilding a sport or art form. Is there a thread for that debate? I'd love to hear what people think. It seems to me that it isn't really a sport since there are no quantifiable goals, and it's not art because the contestants are all striving for the same thing (size, definition and symmetry) with comparatively little room for self-expression. I think "pageant" is really the word that applies. There probably is, but the point I was making was about the social acceptance of tattoos compared to female bodybuilders. 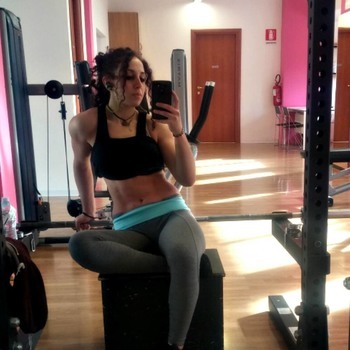 So if there is a debate about the classification of female bodybuilding, it should be in another thread. Let's not take this off topic. That's certainly not my intention but I'm too much of a lurker here to have access to the search function. Sad face. Quit trying to kid a kidder. The General Chat section is only 3 pages long. You don't need the search function. Most of the topics there are started by lurkers. Let's end this part of the discussion here and you can feel free to start a discussion in General Chat on whether or not female bodybuilding is a sport, a beauty pageant, or both. It would probably be as interesting as most of the other topics over there. If she wants to get a tattoo that's her choice. It shouldn't matter what anyone else thinks. There's been a lot of debate about this in other threads, but I can't find one specifically for it. I started one here and you can vote whether you think it is or not. As a general rule I don't understand tattoos on bodybuilders. You have built great muscles and looks like you're still building. It makes no sense to ME to cover those muscles up with ANYTHING let alone permanent ink. Especially if you plan to compete at some point.